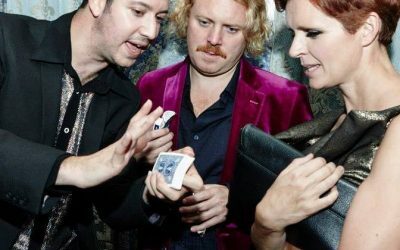 Stephen is a multi award winning magician, mind reader, hypnotist and pick pocket who shatters all the cheesy clichés of a typical magician. You wont find any spotty silk handkerchiefs, bunches of flowers or rabbits in top hats. 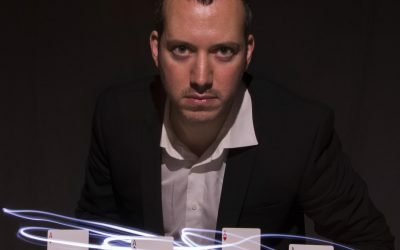 ​His performance style, sleight of hand, and audience interaction has made him a favourite amongst VIPs and celebrities. Stephen can perform close up, mix and mingle, table to table or on stage to your own personal requirements. Right in front of your eyes Stephen will make the impossible, possible and give your guests an experience they will never forget. Stephen adapts his style, to offer a bespoke service to his clients. His performance is suitable for any kind of event and for any age group. Here are just a few ideas of how Stephen can work for you. 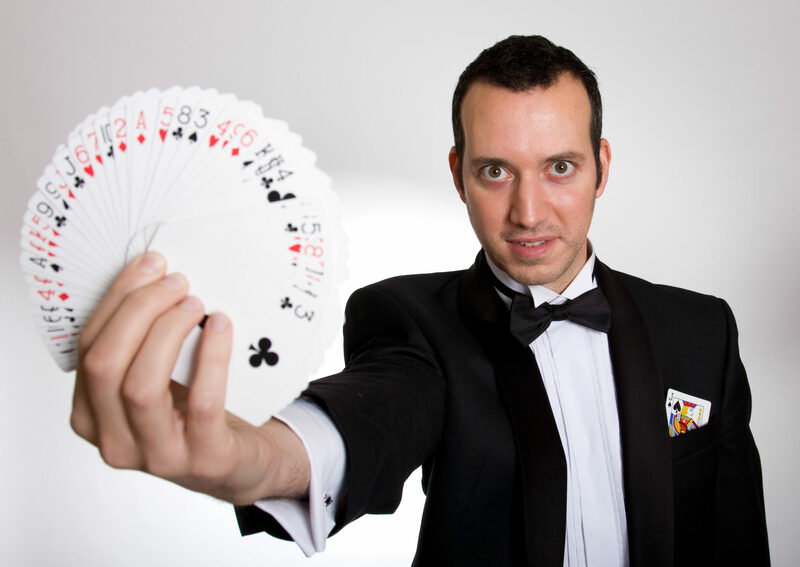 Magic is the perfect ice breaker for a wedding reception. Stephen will mingle with the guests performing miracles. The gasps, the laughter, the applause and the shared sense of wonder will entertain your friends and family, making the party atmosphere even more magical. Do you have a new product to launch or want more people to know about your company and services? Stephen can be booked to attract a mass audience to your stand at your next trade show. Stephen will make it truly unforgettable. The best way to get an idea on whether Stephen is right for your event, is to browse some photos and videos of the him performing, to ensure he’s perfect for you. 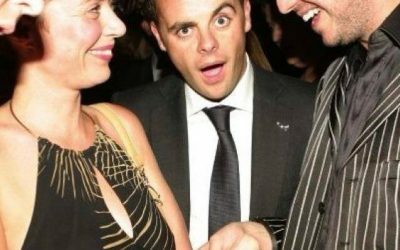 "We first saw Stephen in Shaka Zulu where he was unbelievable, the same night I messaged him to see if he was available for our wedding. We hadn't told the guests we had a magician coming, whilst we were having photos Stephen joined in with the group's of people's if he knew them which was brilliant and immediately amazed them. Stephen was most definitely one of the main highlights of our wedding, I would highly recommend booking him for your event. "